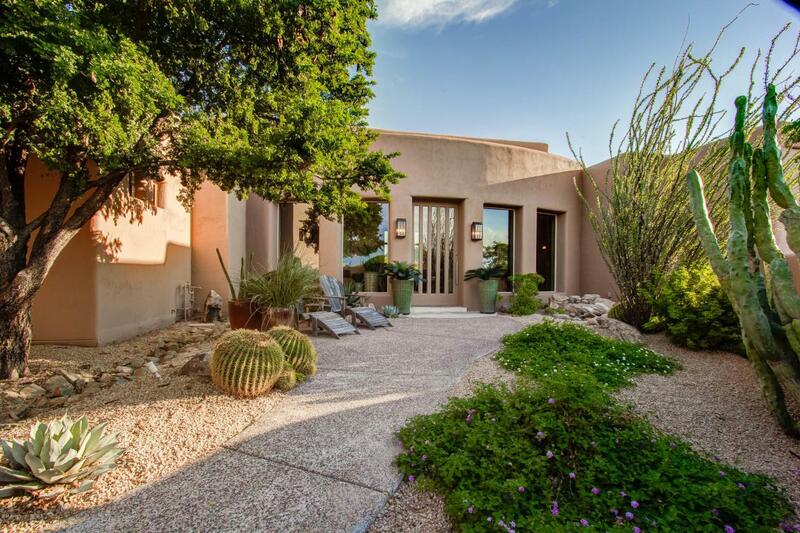 The fabulous home is situated in the gated community of Pinnacle Canyon. 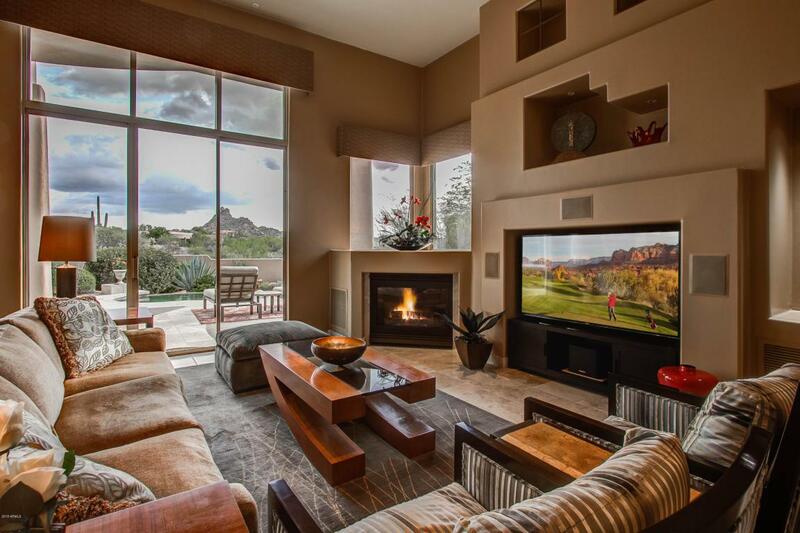 Surrounded by stunning views of the mountains,including Pinnacle Peak. 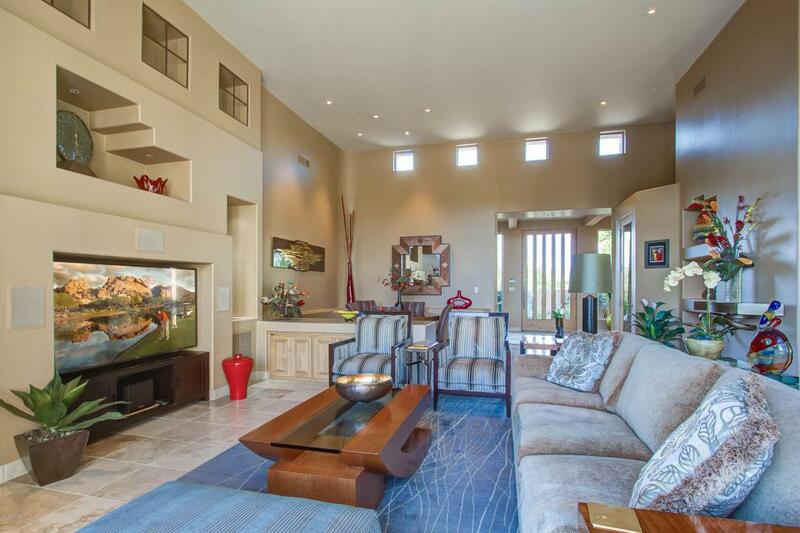 Gorgeous open floor plan with no wasted space. 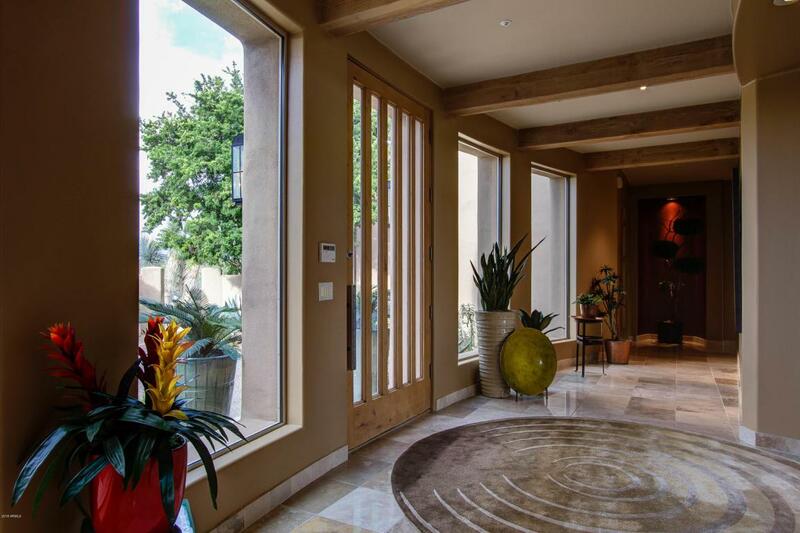 As soon as you enter, the feeling of quality will dazzle you. Gourmet kitchen is fantastic for entertaining and tons of storage. Fabulous bar area over looking the great room with a 200 plus bottle wine cellar is perfectly situated for your entertainment. Romantic Master bedroom is split from other Two bedrooms and offers a fireplace, office/ sitting area and private patio. Spacious Jack and Jill bathroom for the other two bedroom suites. Adorable spool is perfect to heat year round with covered patio and built in BBQ. Views galore.